If you have been charged with a moving violation that resulted in an accident, such as failure to reduce speed to avoid an accident, you need to consult an experienced attorney to help protect you against the criminal charge as well as the potential civil liability you are facing. Call the Law Offices of David Guy Stevens, LLC TODAY for a free consultation. Regardless of the type of traffic violations or the number of citations you have, it’s important that you understand your rights and contact a traffic violations attorney, who can help you reduce the fines and penalties on your driving record, and who can help to protect your driving privileges. The Law Offices of David Guy Stevens, LLC located in Aurora and Naperville, Illinois, diligently works to provide clients with strong criminal defense, no matter what types of charges have been brought against them. Whether you were arrested for driving under the influence of alcohol (DUI) or driving while license suspended (DWLS), you have the right to an attorney who will fight to defend you. Traffic Violations could turn into serious felony offenses. You could lose your license, be required to do community service, spend time in jail, and have a felony conviction on your record. There’s no need to let what could be a minor traffic offense, turn into a major problem. Get the best defense you can find for your traffic violation situation. Many offenses may result in the loss of your driving privileges. Two moving violation convictions in a 24 month period if under the age of twenty-one. Three moving violation convictions in a 12 month period if over the age of twenty-one. Failure to pay tickets or appear in court. Failure to pay parking tickets of toll fees. Improper passing a school bus. Speeding in a school zone. But the most common way is getting a conviction for driving an uninsured motor vehicle. A driver is responsible for the vehicle they are driving even if it is not their own vehicle. A driver can only receive court supervision for an insurance violation once in a lifetime and it can only be their first insurance charge. 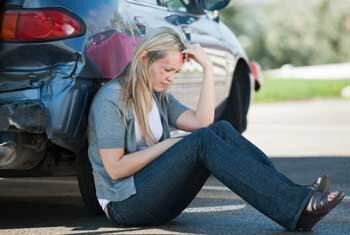 Even if you only received, what most people consider, a minor driving offense, it may still have dire consequences. Call the Law Offices of David Guy Stevens, LLC for your free consultation on your traffic ticket(s) today.